Buyers, owners, and managers of older housing (pre 1978) need to be aware of recently-effective Environmental Protection Agency (EPA) rules regarding renovation projects in such units. 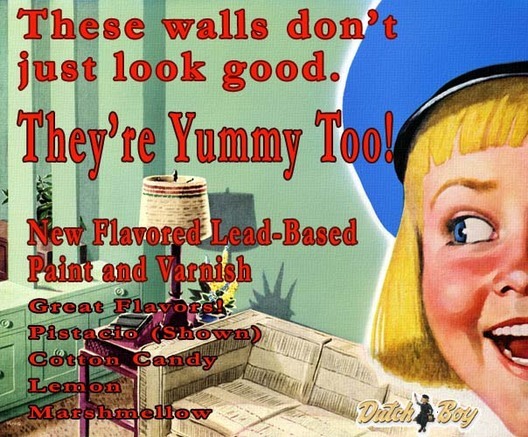 In 2008 the EPA adopted the Lead-Based Paint Renovation, Repair and Painting Program Rule. Certain requirements of that rule became effective April 22, 2010. In addressing these requirements we will consider first: 1. What kinds of properties are covered? 2. What persons must comply with the rules? 3. What kinds of activities are covered? The rules apply to residential houses, apartments, and child-occupied facilities such as schools and day-care centers that were built prior to 1978. Excluded are housing built after 1978, housing for the elderly or disabled as long as children do not reside there, and “zero-bedroom” dwellings such as studio apartments or dormitories. In general, any activity that disturbs paint in pre-1978 housing and child-occupied facilities is included. This could include remodeling and repair/maintenance work, electrical, plumbing, painting, carpentry, or window replacement. Exempted would be “minor repair and maintenance activities that disturb 6 square feet or less of paint per room inside, or 20 square feet or less on the exterior…” Note that “minor maintenance” activities do not include window replacement. (a) Prior to commencing renovation work, the EPA’s pamphlet, Renovate Right: Important Lead Hazard Information for Families must be distributed to occupants of the property or, in the case of child-occupied facilities, to the owner of the building or to an adult representative of the facility. Informational signs must be posted describing the nature, location, and dates of the renovation. (b) Firms that perform applicable renovation must be certified and renovators must be trained. A certified firm’s workers must be certified renovators or have been trained by certified renovators. Certified firms must maintain records – for at least three years — in accordance with the rules Individual renovators must successfully complete an eight-hour training course by an accredited provider in order to become certified. (c) Work practices to be followed include rules for both interior and exterior renovation. Generally, they address measures to contain dust and debris and to provide for its proper disposal. Also, certain methods of paint and surface removal are prohibited. The work-practice rules also address clean-up measures and record keeping. As noted above, home owners doing their own work do not have to follow the rules for those who perform renovation for compensation. Additionally, a homeowner may contract with a renovator and, in writing, waive the requirements that the renovator comply with EPA rules, provided that no child under six resides at the property and there is no pregnant woman there. In addition to exceptions for homeowners, there are also exceptions for work that has to be done as a result of emergency conditions. An emergency renovation would be work “done in response to a sudden, unexpected event which, if not immediately attended to, presents a safety or public health hazard or threatens property with significant damage.” Other than that, though, there is little wiggle room with regard to the EPA rules. Violations can incur penalties up to $32,500 per day, per violation. Probably not something anyone wants to fool around with.